An Ouija board made for chopping, this wooden chopping board has an Ouija design engraved into it. 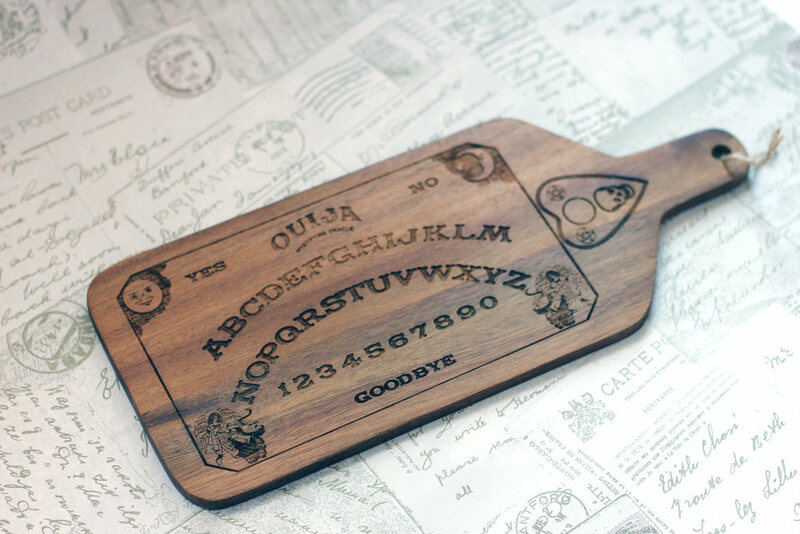 The reverse is left blank so you can actually use the board to chop. 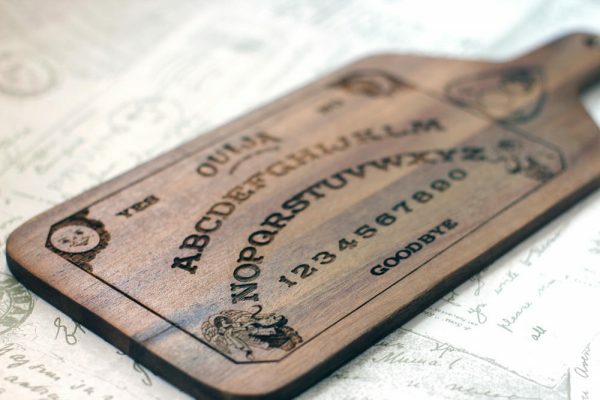 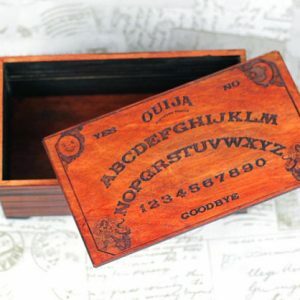 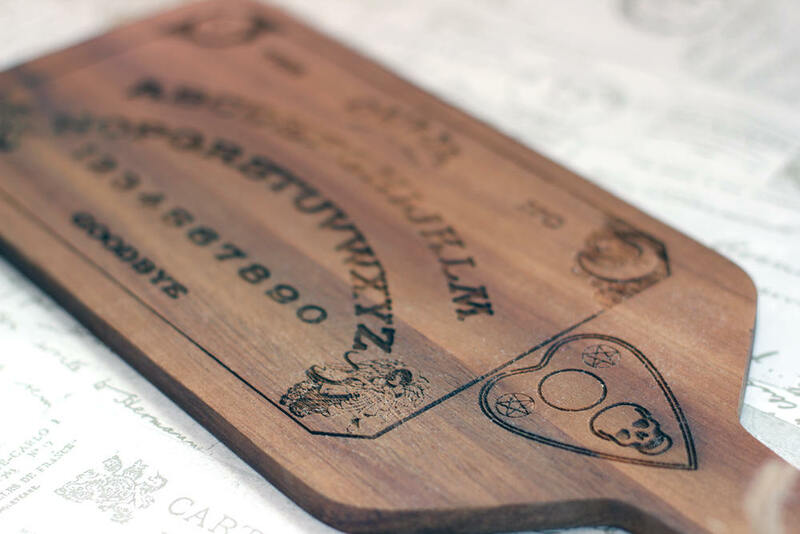 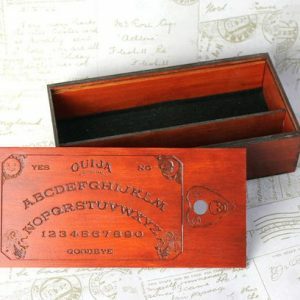 A Ouija board made for chopping, this wooden chopping board has a Ouija design engraved into it. 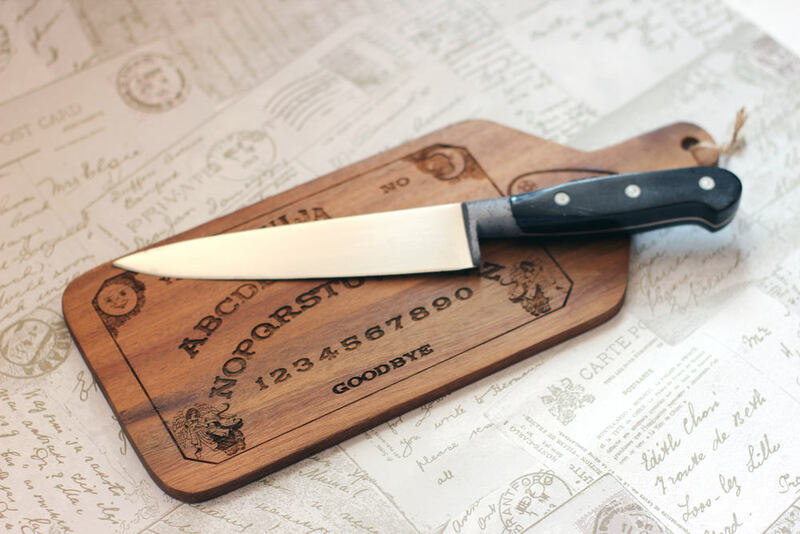 The reverse is left blank so you can actually use the board to chop. 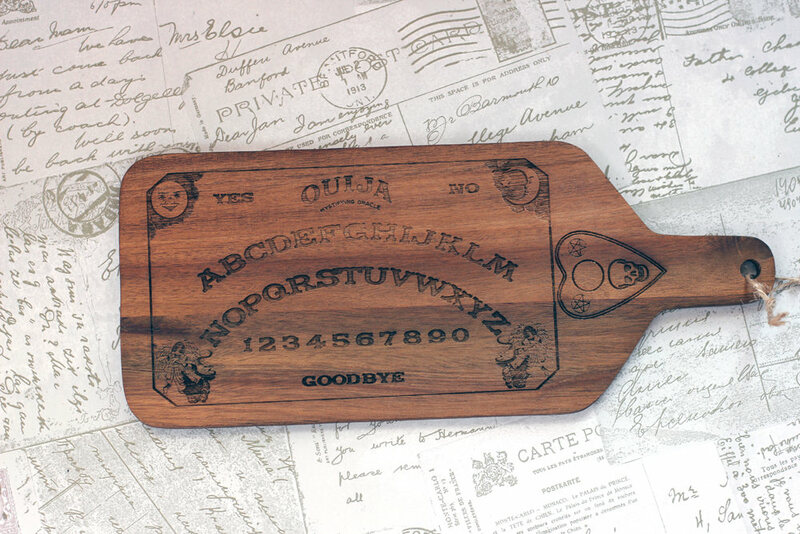 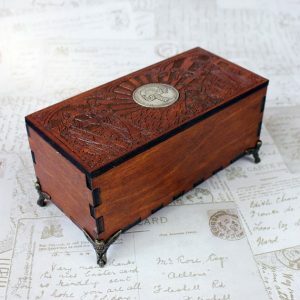 A perfect present for lovers of the occult and unusual. 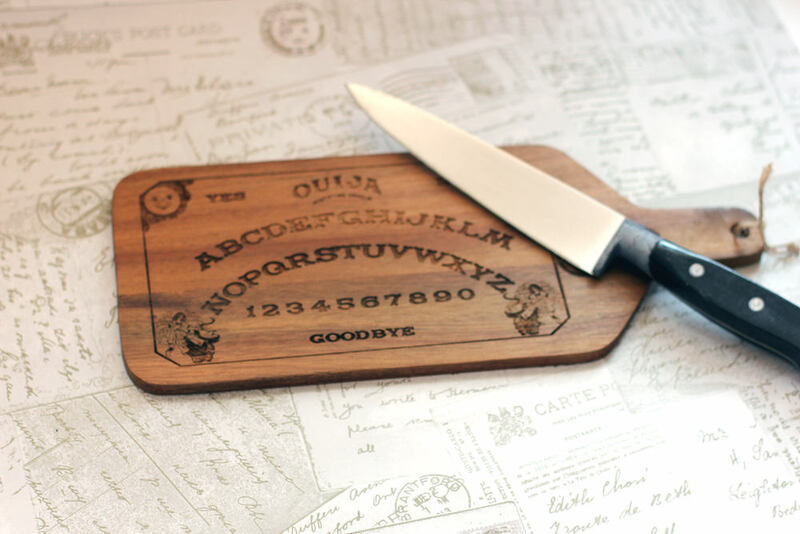 It makes a great Halloween gift or house-warming gift for those with a darker mind. 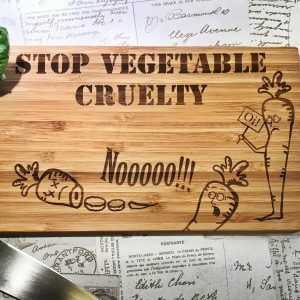 This wooden chopping block measures, 13cm x 30cm (including handle) and is made from acacia wood treated with soya bean oil.